Welcome to the four hundred and seventy-third of my blog interviews with novelists, poets, short story authors, biographers, agents, publishers and more. Today’s is with biographer and fiction author Alma Bond. A list of interviewees (blogged and scheduled) can be found here. If you like what you read, please do go and investigate further. Morgen: Hello, Alma. Please tell us something about yourself, where you’re based, and how you came to be a writer. Alma: I am Alma H. Bond, Ph.D. and live in Carlisle, Pennsylvania, U.S.A. I wanted to be a writer since I was a little girl, but needed to make money to raise my three children, so I became a psychoanalyst first. 27 years ago, I “retired” from my flourishing practice to write full time. Since then, I have had 20 books published. I write about people I fall in love with, or someone I would like to be. Thus I can have many lifetimes in the one meager one we are given. Morgen: As the saying goes, “life is too short” so you have plenty. Can you tell us more about the books you’ve had published to-date please. Margaret Mahler, a Biography of the Psychoanalyst. – McFarland Press. The book received two awards in 2008, Best Books Award Finalist USA Book News and Foreword Magazine Book of the Year Finalist. Camille Claudel, a Novel. – Publishamerica.com. Fictionalized autobiography of the great sculptor and mistress of Rodin. Computer Times Book of the Year. The Autobiography of Maria Callas, a Novel. – Birch Brook Press. Runner-up Hemingway Days First Novel Contest. Old Age is a Terminal Illness. – Universal Publishers. How I Learned to Age Gracefully and Conquer My Fear of Dying. Who Killed Virginia Woolf? a Psychobiography. – Human Sciences Press. The analysis of why Virginia Woolf killed herself and who could have made a difference. Tales of Psychology: Short Stories to Make You Wise. – Paragon Press. Psychological insights by great writers. I Married Dr. Jekyll and Woke Up Mrs. Hyde. – ASJA Press. 71 interviews with divorced women, and the subsequent course of their lives. Is There Life After Analysis? – Paragon Press. What happens when the analysis is over. On Becoming a Grandparent. – Bridgeworks Publishing Co. Dr. Bond’s experiences of grandparenthood. America’s First Woman Warrior: The Story of Deborah Sampson” – (with Lucy Freeman) The story of the woman who fought as a man in the Revolutionary War. Dream Portrait – (with Arlene K. Richards and Daisy Franco) How the analysis of 19 sequential dreams led to the termination of a patient’s analysis. Children’s book, The Tree That Could Fly. – In publication with Willow Moon Publishing Company. Who Killed Marcia Maynard? – ASJA Press.The murder of a psychoanalyst. Murder on the Streetcar. – ASJA Press. The murder of a great actor. The Quantum Twins. – E-book. Wild Child Publishing. Includes a fictionalized analysis of a psychotic man. Morgen: Wow. What a busy life you’ve had. Are your books available as eBooks? Alma: No, I love nothing more than the feel, smell, and touch of a good book in my hands. Morgen: Most people I speak to say the same thing, although most love both (as I do). Did you have any say in the titles / covers of your books? Alma: Yes. The On the Couch series, published by Bancroft Press, was my idea. Morgen: It’s a great idea. 🙂 How important do you think covers and titles are? Alma: Somewhat important. I often remember a book very well, but can’t think of its title. Morgen: I’m the same… not very useful when trying to recommend it to someone. What are you working on at the moment? Alma: Marilyn Monroe: On the Couch. Next? Don’t know yet. I may do a play of Jackie O, or even of Marilyn Monroe. Morgen: What a great idea. They’re both people the public are fascinated by (I certainly am with Marilyn). Do you manage to write every day? Alma: Yes, a day without writing is like a bicycle without wheels. Morgen: 🙂 I created my daily 5pm fiction slot to get me writing every day (the ping of new emails is often a distraction) and I love it. Do you ever suffer from writer’s block? Alma: No. What I find difficult is selecting a new book to work on. I am in love with the character I am writing about, and find it as hard to part with her as with a dear friend. Morgen: And I’m sure that’s how the readers feel, which is why series are so popular. Do you do a lot of editing or do you find that as time goes on your writing is more fully-formed? Alma: Yes, I rewrite and rewrite and rewrite until each phrase pleases me. As I learn more and more, I rewrite more and more. Morgen: Each phrase, wow. It’s interesting that you rewrite more as you go along. Writing about real people, you must have to do a lot of research. Alma: Yes, I do years of research. I am a researcher. My doctorate is a Ph.D. in research. Morgen: Research is one of my least favourite aspects of writing but then we have the internet so it does make life a lot easier. Do you have pieces of work that you think will never see light of day? Alma: I have only one unpublished work, a play about the great politician, Bella Abzug. Alma: Sometimes I am commissioned, such as my book Michelle Obama, a Biography. But mostly my books are published by Bancroft Press. Alma: Many. They made me very unhappy, but I kept right on sending out the manuscripts. Sooner or later, all my books have gotten published. Morgen: You do sound a very determined lady. Do you enter any non-fiction competitions? Alma: I have won two non-fiction contests for Margaret Mahler, the Biography of a Psychoanalyst. They are Best Books Award Finalist USA Book News and Foreword Magazine Book of the Year. I have won many awards for my books of fiction. Morgen: Congratulations. 🙂 Do you have an agent? Alma: No, I have sold all my books myself. Morgen: Yes, definitely determined. How much of the marketing do you do? Alma: I do as much as I can, like sending out press releases and mailing postcards, but frankly, I hate it, as it takes time away from my true love, the book I happen to be writing at the moment. Morgen: Marketing is the answer to most interviewees second part of my next question… what’s your favourite / least favourite aspect of your writing life? Alma: Writing is favourite, PR least favourite. Morgen: If I had a pound for every time an interviewee has said that… Writing is my favourite and research / editing least favourite, although marketing is SO time-consuming. Has anything surprised you? Alma: My work always is full of surprises, mostly that I find out I know things that I didn’t know I knew. Alma: Don’t listen to anybody but your heart. Morgen: I love that. If you could invite three people from any era to dinner, who would you choose, and what would you cook? Alma: Sigmund Freud, Virginia Woolf, and Marilyn Monroe. I would cook them all the same thing, I make a terrific Italian spaghetti sauce. Morgen: Yum. If you had to choose a single day from your past to re-live over and over, what day would it be and why? Alma: I would relive the moments I wrote something I thought was wonderful, which happened as recently as yesterday. Morgen: How lovely. I often sit and clap at my computer – my dog used to think I was weird but he’s used to it now. Is there a word, phrase or quote you like? Alma: A poet named Mary Anne Lawler wrote this years ago, “Yes, dreams do come true, if you dream them long and hard and earnestly, and never, never give them up.” I put it in my wallet at age 12 and carried it around with me until it fell apart. Morgen: They do say that a successful writer is one who didn’t give up and whilst it’s a hard journey you can always tell the writers who are passionate about their craft. You mentioned earlier that you write fiction, are there any differences between writing non-fiction and fiction? Alma: I write mostly fiction, because it gives my imagination more room. Morgen: Do you have a favourite of your books? Alma: Marilyn Monroe: On the Couch. Alma: I don’t plot my books. Each chapter I finish suggests the next one. Alma: I write from the heart. If I believe in them, you probably will, too. Alma: My forté is first person. I have done a number of third person books, but never second person. I don’t know why anyone would. Morgen: Did I mention earlier that I’m weird? I love second person. 🙂 Are you involved in anything else writing-related other than actual writing or marketing of your writing? Alma: No, although occasionally I write poetry. Morgen: Ah, maybe you’d like to submit something for my post-weekend poetry slot? What do you do when you’re not writing? Alma: I am never not writing. I swim daily, but continue thinking about what I am writing while I swim. I even dream about my characters, and often wake up with new thoughts about them. I also like to sculpt, but there isn’t time in one lifetime to develop two major arts. Morgen: You live and breathe writing, like me. My mum said a while ago, “Don’t let writing take over your life” – I didn’t like to tell her she was a few months too late. Are there any writing-related books that you find useful? Alma: I use a thesaurus a lot. I dislike repetition in my writing. Morgen: Oh so do I. I’m famous for picking it out at my writing groups. Are you on any forums or networking sites? If so, how valuable do you find them? Alma: I am a member of the American Society of Journalists and Authors (ASJA), and if I have a problem or need information, I write to their Forum. I have found them remarkably helpful and generous with their time and knowledge. Morgen: That’s what I’ve found about the industry as a whole, writers do seem a different breed. What do you think the future holds for a writer? Alma: It depends on how serious and hardworking the writer is. Morgen: That’s very true. You do tend to get out what you put in. Finally, where can we find out about you and your writing? Alma: My website is http://Alma_bond.tripod.com. I then invited Alma to include an extract of her writing and this is the ending of Jackie O: On the Couch. On May 15, confused and shaking, my speech slurred, I returned to the hospital. There I was diagnosed with pneumonia and put on antibiotics. Dr. Moore told me that the cancer had spread to my liver, and there was nothing more she or her colleagues could do for me than to treat the pneumonia. When my cancer was first diagnosed, I had the staff draw up a living will which said that no heroic measures were to be administered to keep me alive when my death was a foregone conclusion. Being at the brink of death did not make me change my mind. I was not interested in lingering when stuck full of tubes in a hospital, surrounded by impersonal doctors and nurses. I have always wanted to do things my own way. I want to die in my own way, as well. After giving me the bad news, the doctor said, “Let’s try more chemotherapy.” I cried out, “No, no! I want to go home to die.” I do not want to spend my last days lying on stiff, bleached hospital sheets in an ugly, germ-proof room, kept alive by tubes, away from loved ones and treasured belongings. So I told Caroline, John, and Maurice how I want to die. I said, I want to die at home surrounded by the three of you, with my favorite books by my side and “Alleluia, Beatus Vir Qui Suffert.”chanted by the Benedictine monks of Santo Domingo piped through my apartment. I want scented candles lit at my bedside. I want to lie on my favorite floral sheets, wear my most flattering nightgown, and cover my bald head with a beautiful scarf. I want my loved ones to speak of treasured memories we share while I can still hear, and read to me from my favorite poets, Emily Dickinson, Robert Frost, and Edna St. Vincent Millay. I want a few of my closest friends, like Bunny Mellon, Carly Simon, and Peter Duchin, and my sister, Lee, to briefly say good-bye. I want my priest, Monsignor Georges Bardes of St. Thomas More Church, where mass was celebrated for the 25th anniversary of Jack’s assassination, to administer the last rites of the Catholic Church. I want him to hear my last confession, “Bless me, Father, for I have sinned.” For I have. Before I leave this earth, I will make my loved ones promise that they will have me buried next to Jack at the Arlington National Cemetery. And I will smile good-bye, glow in their love for me one last time, and close my eyes forever. But if I first call out, “Jack, Jack, I’m coming, I’m coming!” I’m sure Maurice will understand. JACKIE O: ON THE COUCH delves into Jackie’s childhood, and helps the reader understand how and why she became the person she was. It also explores JFK’s background and the ways it affected his marriage. Jackie’s deep love for Jack, the cat and mouse game he played before their engagement, his early inattentiveness, the difficult years they spent together, along with details of his outrageous womanizing, and their happier times at the White House late in the marriage, are viewed through her eyes. A poignant description of Jack’s assassination and funeral is recounted. The book also looks into the widow Jackie’s need for Aristotle Onassis. She debunks the idea that she married Ari purely for his money, and discloses previously unknown graphic details of her sexual awakening. The joyful early years and the gradual collapse of the marriage is described, as is Ari’s death. Jackie’s successful entry into the publishing world, and how the work helped to define her follows. A new Jackie emerges, who probably is closer to the one she would have become had she not been First Lady. Her new persona allows her to form the best relationship of her life, with the elderly, stout, and adoring Maurice Templesman, who gave her the love, devotion, and constancy she never received from her two husbands. The book carefully follows the progress of the non-Hodgkins Lymphoma disease that led to Jackie’s death at age 63, from her fierce denial to the gradual acceptance that she would not survive. 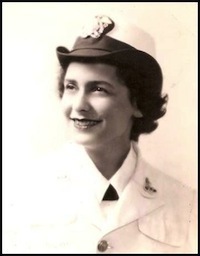 Alma H. Bond received her Ph.D. from Columbia University, and became a highly successful psychoanalyst in private practice for 37 years in New York City. She “retired” to become a full-time writer, but now maintains a small practice in addition to writing. 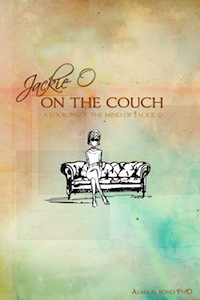 Jackie O: On the Couch, the first of her On the Couch series to be published by Bancroft Press, was published on August 15, 2011, and received a Pinnacle Book Achievement Award. Margaret Mahler, a Biography of the Psychoanalyst was published by McFarland Press in 2008. It received two awards, Best Books Award Finalist USA Book News and Foreword Magazine Book of the Year Finalist. Michelle Obama, a Biography, was just published by Greenwood Press. Dr. Bond has had 18 other books published, including “Camille Claudel, a Novel,” “The Autobiography of Maria Callas, a Novel ,which was runner-up in the Hemingway Novel Contest, ””Old Age is a Terminal Illness,” “Who Killed Virginia Woolf? a Psychobiography,” “Tales of Psychology: Short Stories to Make You Wise,” “I Married Dr. Jekyll and Woke Up Mrs. Hyde,” “Is There Life After Analysis?” “On Becoming a Grandparent,” “America’s First Woman Warrior: The Story of Deborah Sampson” (with Lucy Freeman) and a children’s book, “The Tree That Could Fly.” Dr. Bond also wrote the play, “Maria,” about the life and loves of Maria Callas,” which was produced off-off Broadway and is currently touring Florida. Among other organizations, Dr. Bond is a member of the American Society of Journalists and Authors, the Dramatists Guild, PEN, the International Psychoanalytic Association, and the American Psychological Association. Her website is Http://alma_bond.tripod.com, and email address almahb@aol.com. Alma’s husband was the late well-known actor, Rudy Bond, who appeared in many of the great films of the era, i.e. A Streetcar Named Desire and The Godfather. She is the mother of three children, all of whom are writers, and the grandmother of eight. Update December 2012: The first draft of “Marilyn Monroe: On the Couch” is finished, and the book will be published in the fall of next year. But in the meantime, I have another book coming out this spring, “Lady Macbeth: On the Couch.” You may be interested as to why I chose to write about her. Freud said that nobody knows why she helped her husband to kill the king, so of course I had to try to find out. “Jackie O: On the Couch” is the best seller my publisher has ever had. The video is available at http://www.youtube.com/watch?v=7giEwnNWL60.